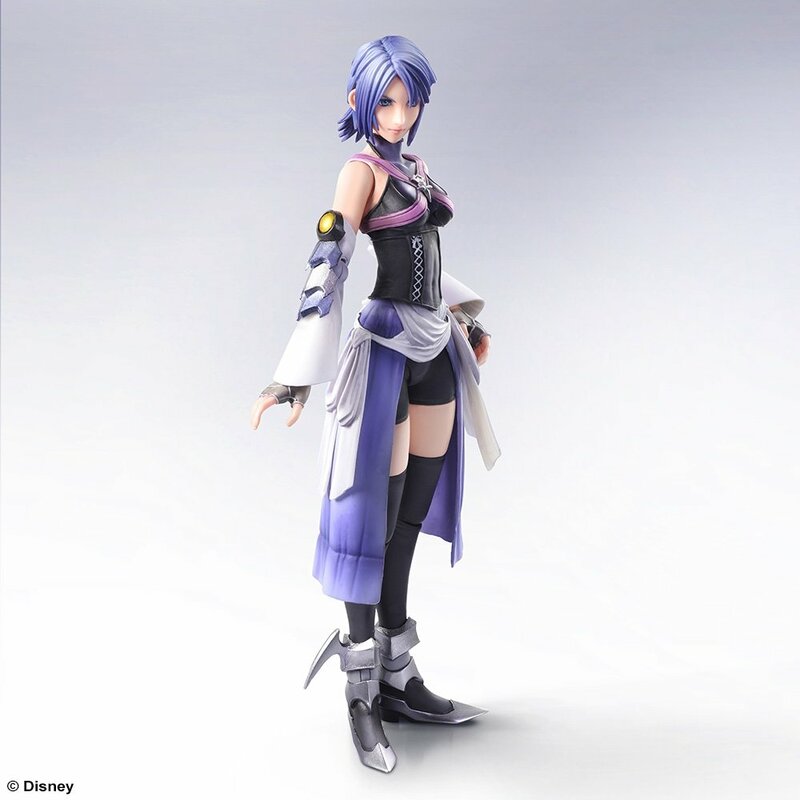 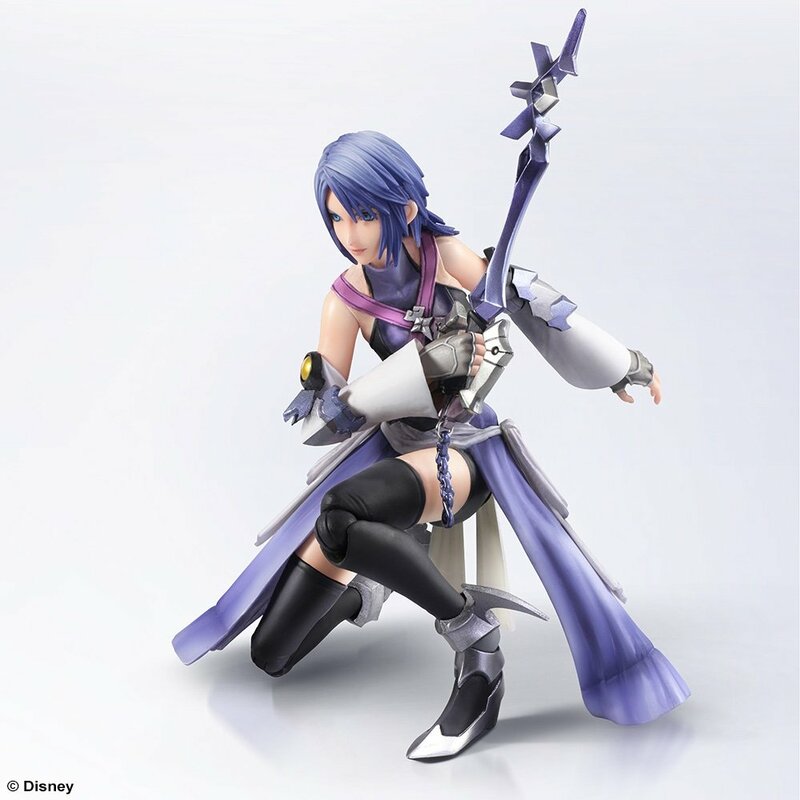 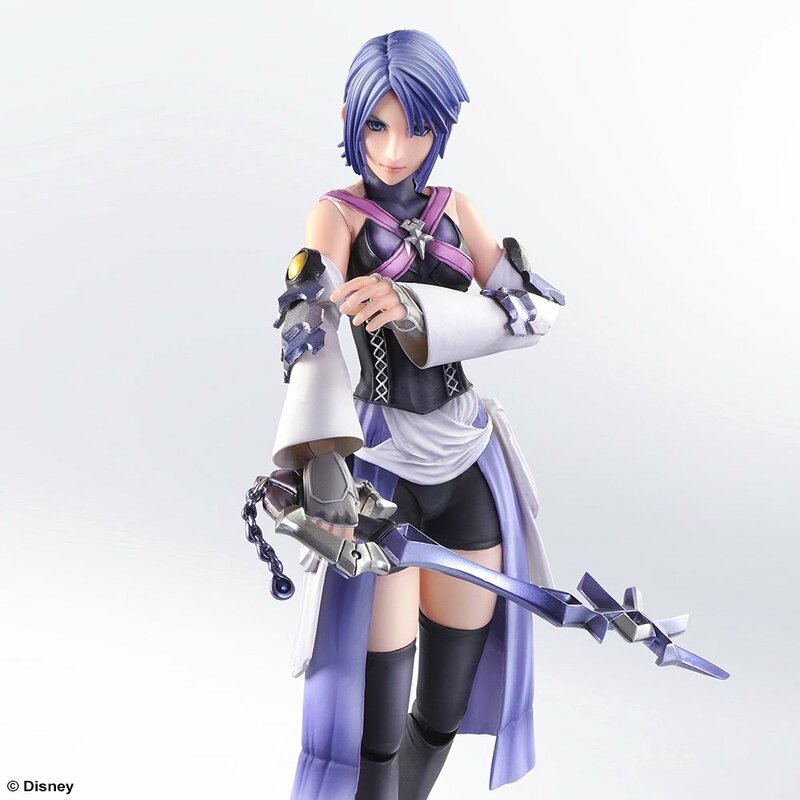 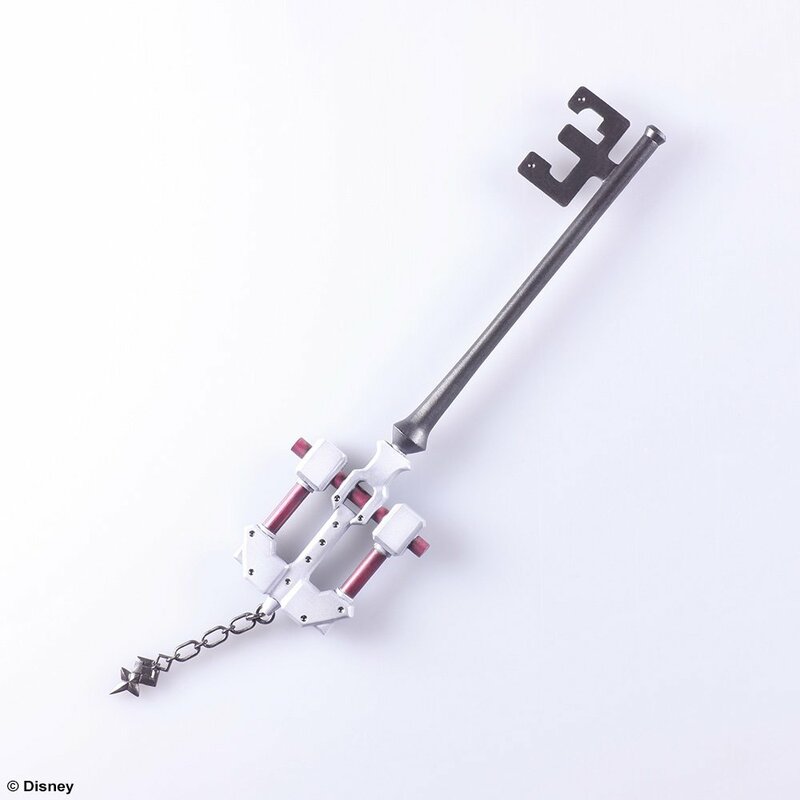 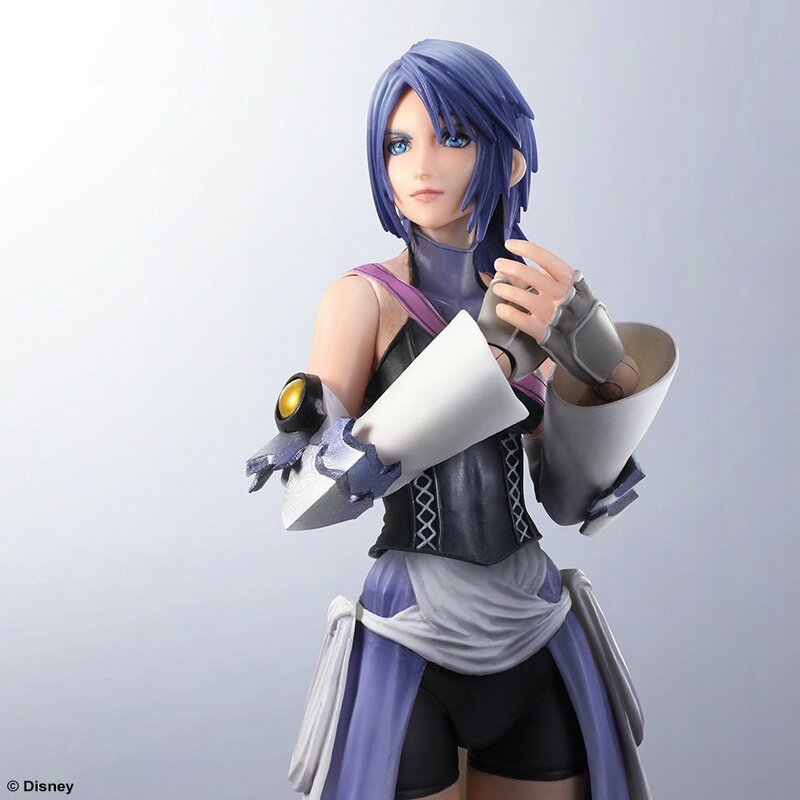 Aqua, the first female protagonist in the KINGDOM HEARTS series, has the inner fortitude to withstand adversity. 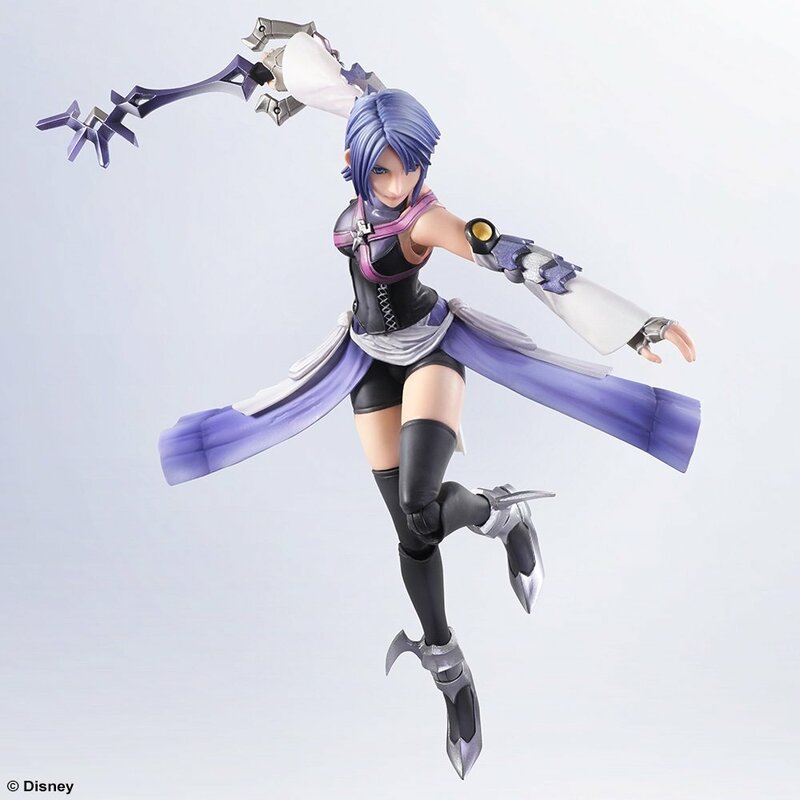 This Play Arts -KAI- figure is sure to please as it showcases her unwavering spirit in its expression. 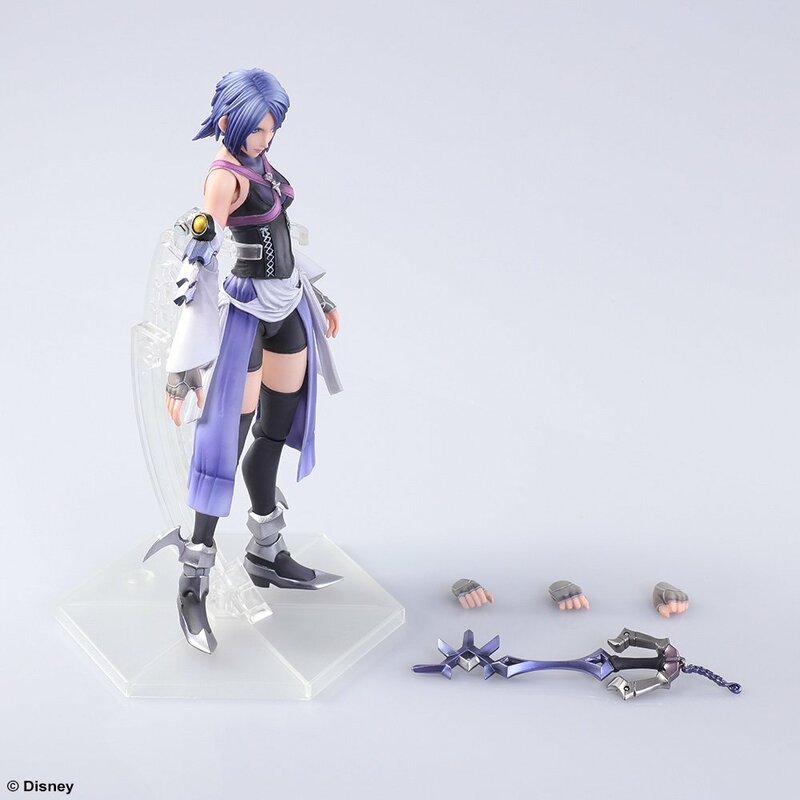 The various included accessory parts allow for a multitude of action poses. 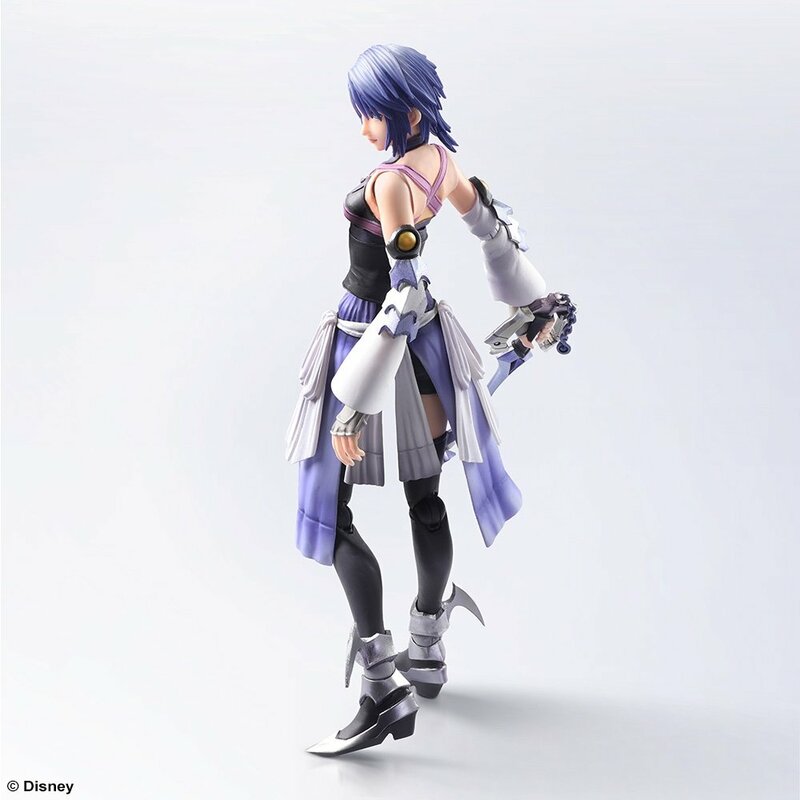 The paintwork, varying calculated intensities of light and shadow, gives her a realistic presence, all while taking great care to show off of her signature blue color. 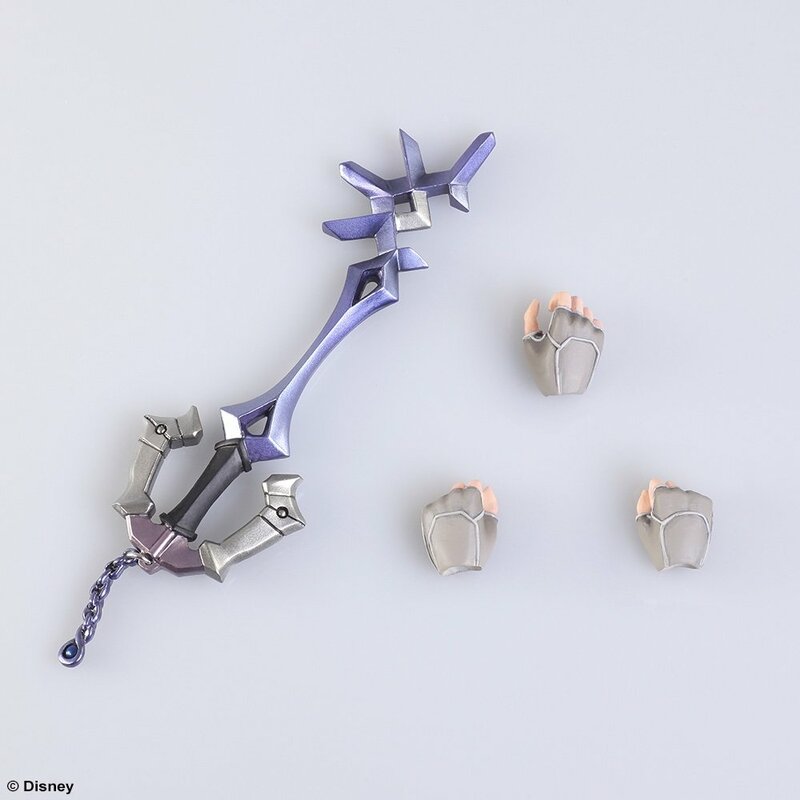 We also aimed to give her armor and keyblade a heavy feel through the paint-applied metal textures. 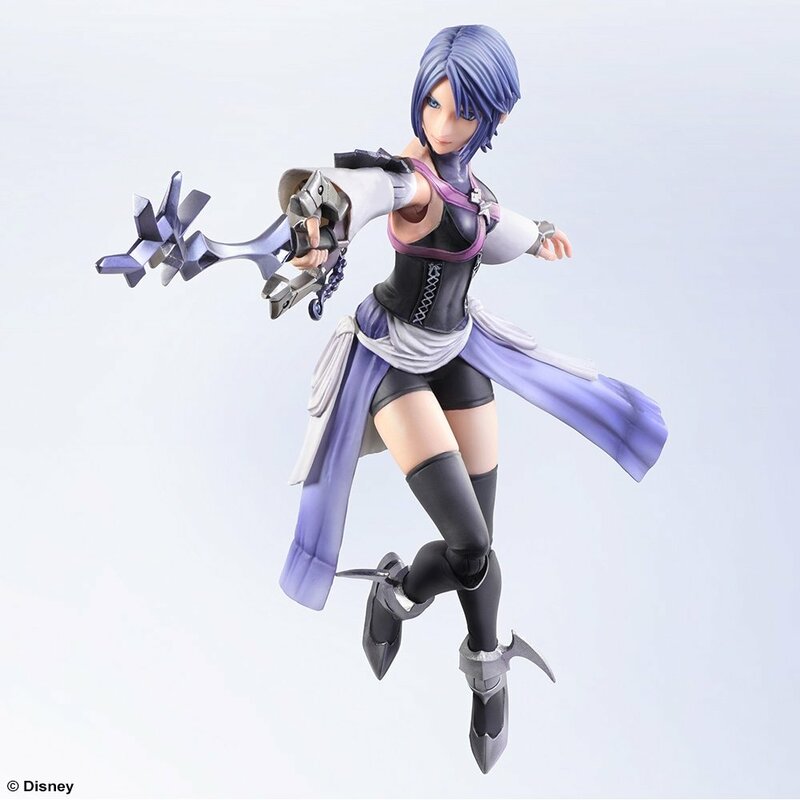 Whether she is charging gallantly into battle with Rainfell or showing her softer side in scenes with Terra and Ventus, we have condensed every bit of her charm into this figure to make it quintessentially Aqua.